Amazing Skin is cheaper than you think! How may of you spend countless dollars on skin care? Ever since I was old enough to read fashion magazines and care what beauty advertisers told me on television, my beauty products began to pile up. The latest creams and serums, pore strips and scrubs were mine... I wanted beautiful skin and was willing to pay for it. I was hooked. Despite all of the promises the products made, and how diligent I was at using them, I still had problem areas on my face. I had dry patches, clogged pores, and pimple-prone areas that never seemed to fully clear. As I have realized that a natural diet has done wonders for my health, I began to wonder if there was a natural answer for my skin as well. Oil pulling has certainly helped with my teeth, and I commonly use oils on my body for moisturizing as well. Reading more about oils, I discovered countless testimonies about the benefits of oils for the face. People reported having visibly brighter, clearer, and younger looking skin. I have always associated oil with pimples and breakouts. But after two weeks of trials on my self, I am converted! 1. Wash face as usual every night before bed. (I always apply the oil before bed so that it can act over night. In the morning my face is so hydrated I rarely need moisturizure for the day). 2. Use ring finger and apply one drop each to the following areas: forehead, nose, both cheeks, and chin. 3. Use upward, circular motions with your ring finger to rub oil into the face. (You should always apply makeup and other products to your face with your ring finger as it has the most delicate touch). 4. The entire face should feel evenly hydrated and covered with the oil. If certain spots feel like they need a little more, apply another drop to using the same technique where needed. 5. Tie back your hair and enjoy your night's rest. When you wake up your skin should look noticeably refreshed. My rough patches have gone away, my skin looks younger, and the pimples that usually show up on my chin are few and far between. 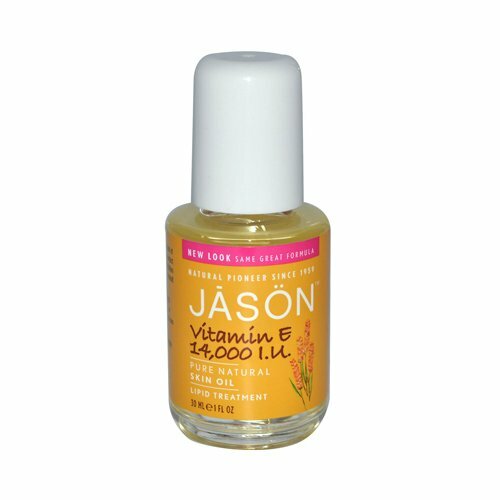 This Vitamin E oil is cheap at around $7.00, easy to use, and has done wonders for my skin. I hope that it can help you have amazing skin too, and also help you clear away some of the beauty-product clutter you may have accumulated over the years.